ITSec offers managed and outsourced services to support your entire network infrastructure. The helpdesk support helps better integration with servers, desktops, laptops and other network devices coexisting within a network environment. Smooth networking operation calls for skills and experience. ITSec helpdesk support helps in supplying, managing and supporting your server infrastructure at realistic prices. Our experience helps you maintain your network with utmost security and stay intruder free. The professional service gives you peace of mind to continue the business operations even in the event of a small outage or a huge disaster. Our IT security helps you maintain your network and keeps it up and running at an agreed SLA. 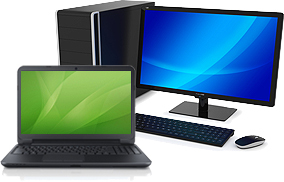 PCs, desktops and laptops are always in use. Therefore, they need proactive monitoring and maintenance to get the maximum daily work done. Technology brings a few challenges along with several benefits. Our help ensures you get maximum output out of your desktop infrastructure, keep it running and safe from viruses and unhappy and failing hardware components. A good backup and disaster recovery policy needs to be properly devised and maintained. Only an experienced IT security service truly masters this skill. Today the integrated environment has increased the chances of losing data through accidental and malicious activities. Disasters are prone to strike; you always need a proactive approach to it to bear the aftermath. Here, at ITSec we help you create and maintain a backup and disaster recovery policy to support your services. 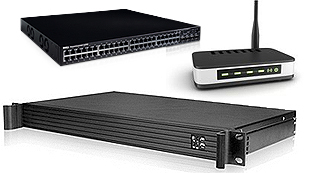 The base of every network is built on a good networking infrastructure. From the cables to the selection and configuration of the network backbone, creation of DMZs, and maintenance of switches and firewalls – ITSec does it all and very well indeed. This is where our experience and the supportive team come in. Support your network infrastructure by the professionals and enjoy a smooth IT operation with complete IT security. Call us at +44 12345 223 72 or fill in the contact us form so that we can help you out with your IT operations and give you the support you need.